HMS Agamemnon was launched in 1781 as a 64-gun third-rate ship of the line of the Royal Navy. She got famous because of being Admiral Nelson's favourite ship, who served as Agamemnon's captain in 1793 - 1796. The ship took part in the 1801 Battle of Copenhagen and fought at the Battle of Trafalgar on 21 October 1805. She was wrecked in 1809 after running aground in the mouth of the Rio de la Plata. In 1993 the wreck of the Agamemnon has been located, and one of her cannons and some other artefacts have been recovered. There is a comprehensive article about HMS Agamemnon in Wikipedia. 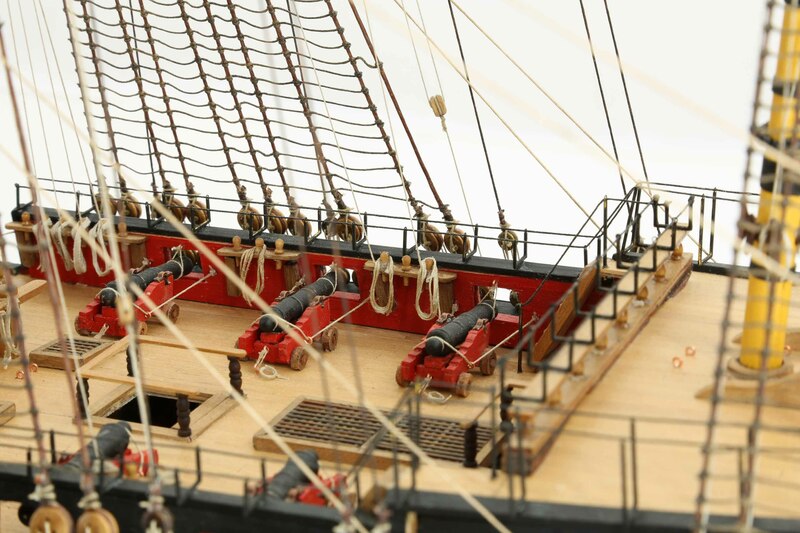 The ship model was built without sails to allow for a better view on the very detailed, impressive rigging. The gun ports are closed. The guns on upper deck are secured for cruising, not being battle ready (unlike most ship models). Have a look at the set of photos. There are several views of the entire ship model taken from all directions, and several closer views of hull, deck and rigging. Click images to enlarge! 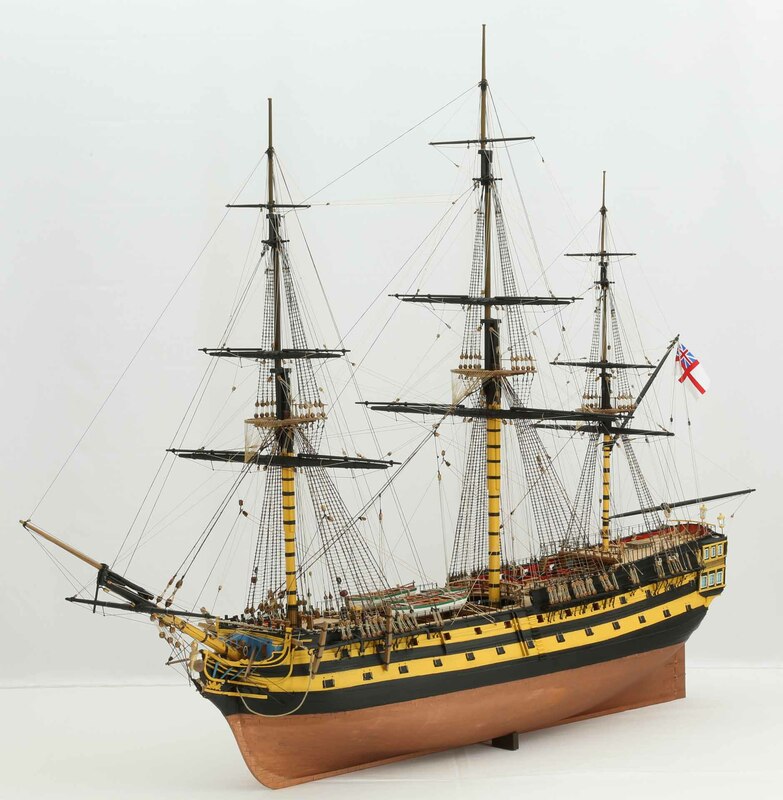 This model of HMS Agamemnon is a very beautiful, fine piece of work, especially in detailing the rigging. It is one the rare models having gun ports closed and thus clearly showing the elegance of the hull layout. The ship model is 1 : 64 scale. Length is 125 cm, width 51 cm, height 94 cm.